Available: 1858 to present. In particular, the 000-42 was available in 1938, 1939, 1940, 1941, 1942, 1943 (then reissued by Martin recently due to Eric Clapton using a 1939 Martin OOO-42 in his live performances). Collectibility Rating: Pre-WWII OOO-42 and OM-42: A+, OO-42: A, O-42: B. General Comments: The Style 42 Martin guitar (000-42, OM-42, 00-42, 0-42) is a spruce top, rosewood body Martin guitar that is a step below flagship of the Martin guitar style 45 line. Essentially the Style 42 is a water-down version of the Style 45, with only pearl trim on the top (and not the back and sides like the Style 45). Still the style 42 has awesome sound and incredible workmanship and pearl/abalone work. 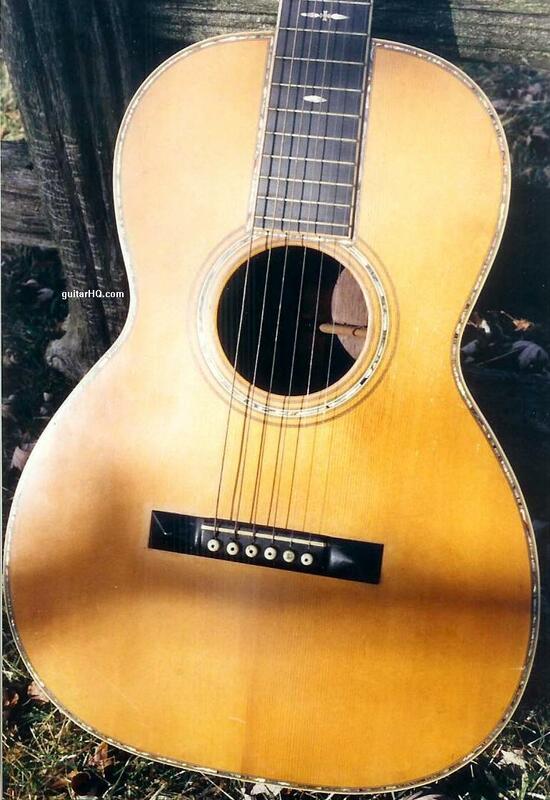 The Martin style 42 was not originally available in the D body size (though Martin did make a D-42 starting in 1986, but I hardly consider that a "vintage" Martin). The OM-42 was only made in 1930 with extremely low production (the OM-45 really overshadowed the OM-42). The "42" portion of the model indicates the style of the guitar. The letters before the "42" indicate the body size (0-42 being the smallest, 00-42 being larger, and OM-42 and 000-42 being larger still). The models OM-42 and 000-42 is regarded as "the best" size as applicable to today's musical styles. 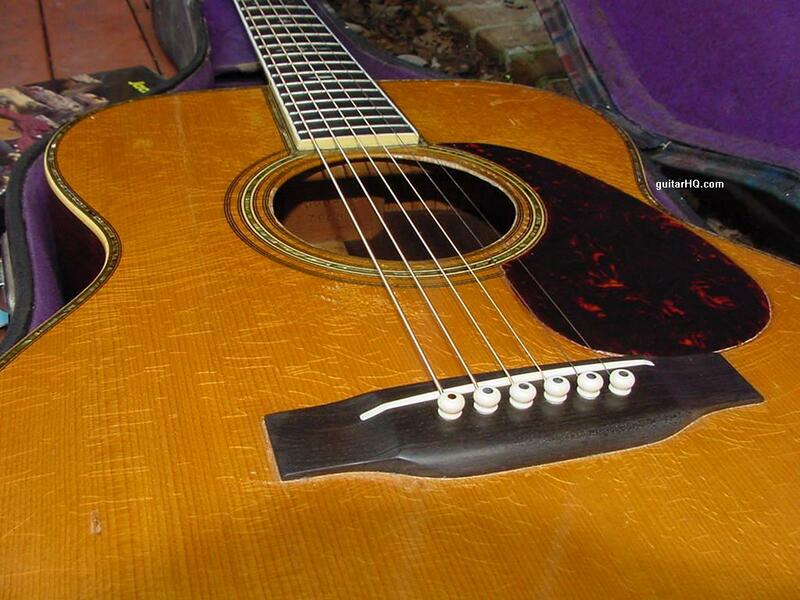 But all the Martin style 42 guitars are interesting, as they are beautiful instruments. Note when refering to the number of "frets", this means the number of frets clear of the body (not the total number of actual frets). This will be either 12 or 14 frets clear of the body. If you need to figure out the exact year and body size of your Martin style 42 guitar, use the serial and style/size numbers. 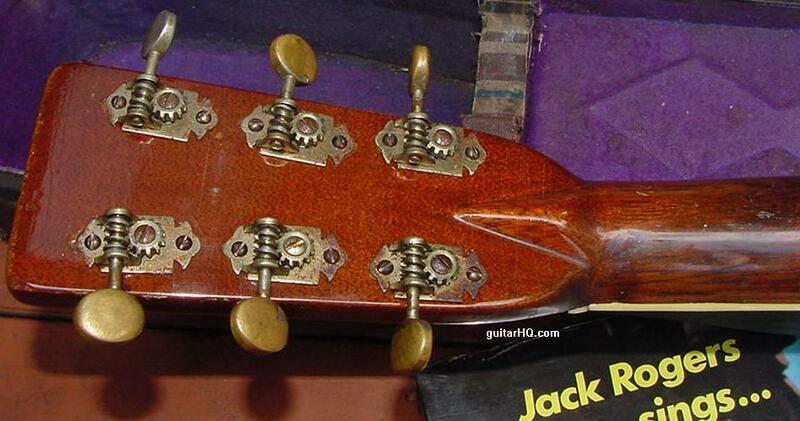 This is stamped inside the body's sound hole on the neck block. 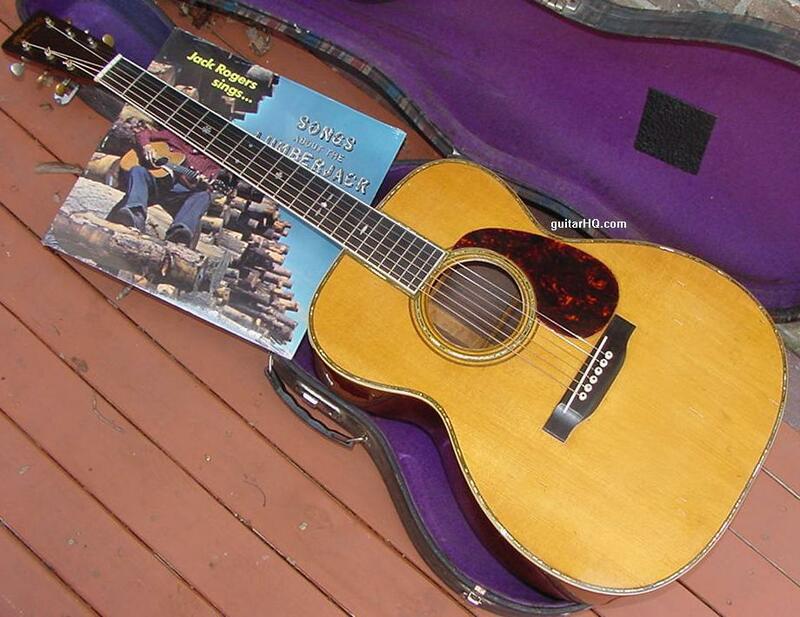 See the Martin Serial Number Info web page for help determining the exact year. 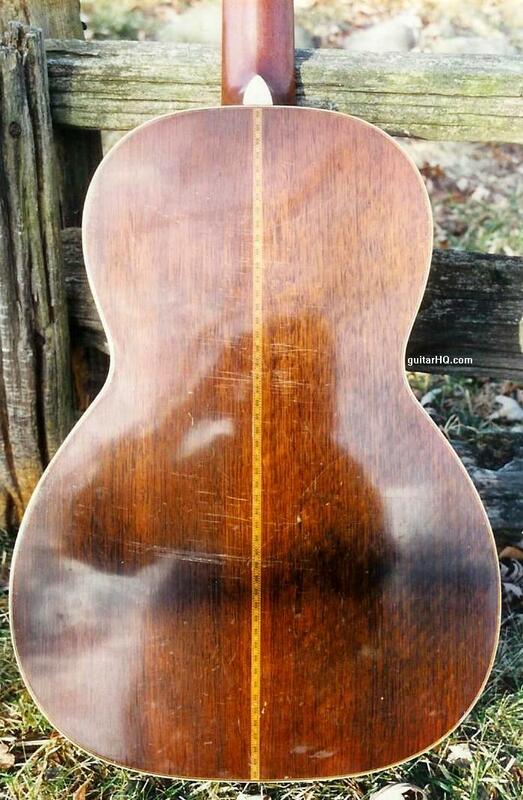 Rosewood back and sides, fancy inlay, fancy backstripe, ebony fingerboard. 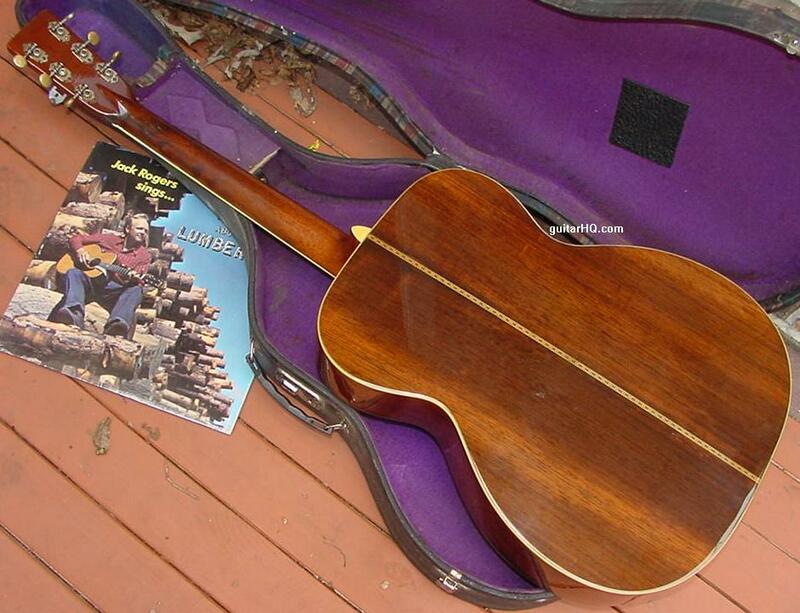 0-42 and 00-42 were always 12 fret models until discontinued in 1942. 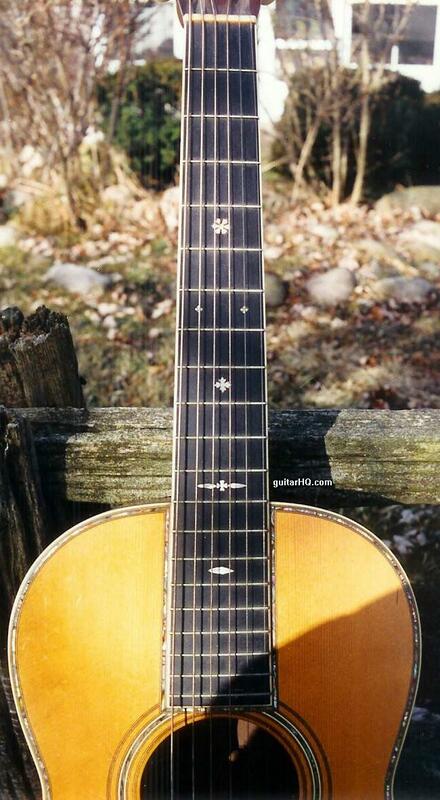 Abalone inlay around top, soundhole and border around neck tongue. Ivory binding on top and back. 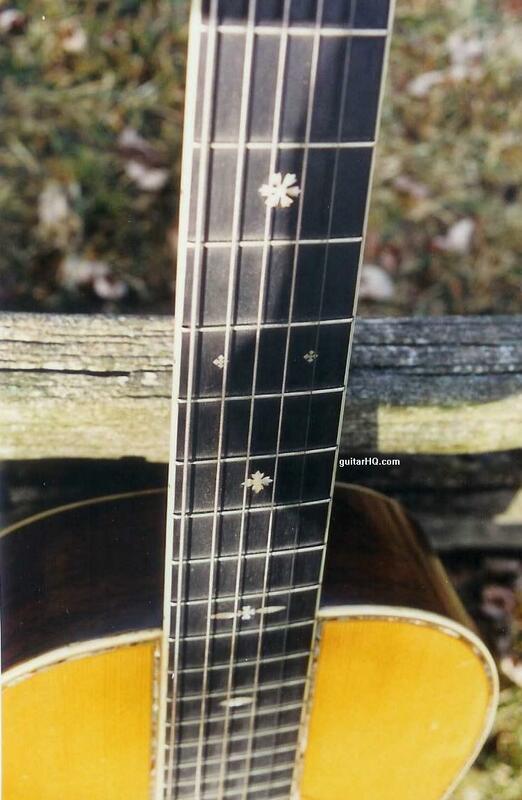 Snowflake pattern fingerboard inlays at 5/7/9 frets. 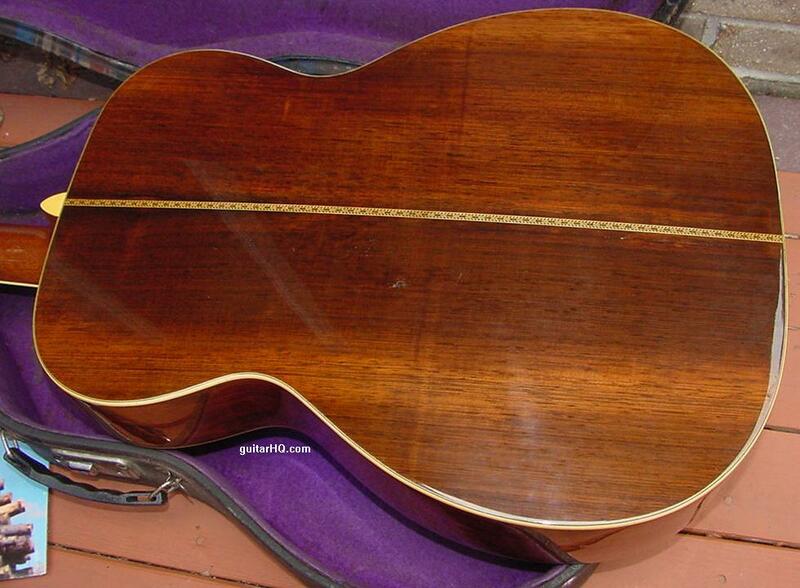 Bound neck with varied patern fingerboard inlays. OM-42 made with 14 fret neck, 25.4" scale, solid unbound peghead, nickle plated banjo tuners. Front of the peghead is plain (no inlay and no Martin logo). Style 42 discontinued (last 000-42 made in 1943). D-42 introduced in 1986. 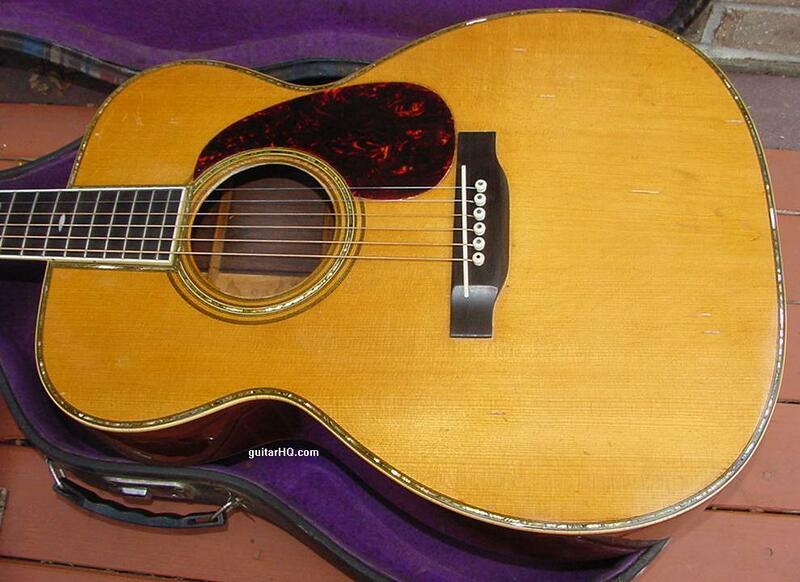 1941 Martin 000-42 guitar (Eric Clapton model).